Chevrolet of Naperville offers shoppers a wide array of used SUVs under 15,000 on our Naperville, IL lot, including US News top picks like the Chevrolet Equinox with its powerful, efficient engines, practical interior, comfortable ride, and innovative connectivity systems. Explore the selection here and see why Edmunds praises Chevrolet vehicles for their design and reliability, then keep reading and learn about the options you have to upgrade your ride at Chevrolet of Naperville today. At Chevrolet of Naperville, we not only offer access to some of the cleanest, most reliable used SUVs under $15,000 in Naperville, IL, we make it easy to get into the new vehicle of your choice with our all-new Chevrolet Upgrades Program as well. Bring in your clean, late-model vehicle for inspection in our state-of-the-art service center and, if it qualifies, you could get into a brand-new vehicle with lower interest rates, extended new vehicle protection, and a rebate on your current vehicle’s service up to $750. We can even help you review your budget to decide whether buying or leasing your next vehicle is the best choice for you. 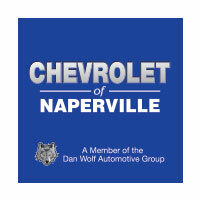 And, when you choose Chevrolet of Naperville for your vehicle’s ongoing service you can take advantage of our state-of-the-art service center, service coupons, and special savings that make maintaining your new vehicle as affordable and hassle-free too. Contact us today to learn more and get started.